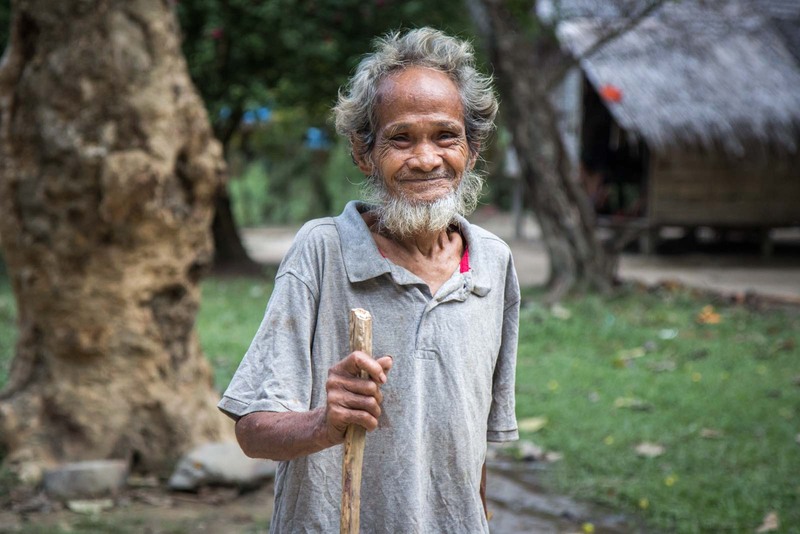 It’s taken several hours to get here – across an island, through jungles and rivers – but finally I am in the home of the oldest indigenous tribe in the Philippines. There are flashes of modernity here but, overall, this is a community living its life through tradition. 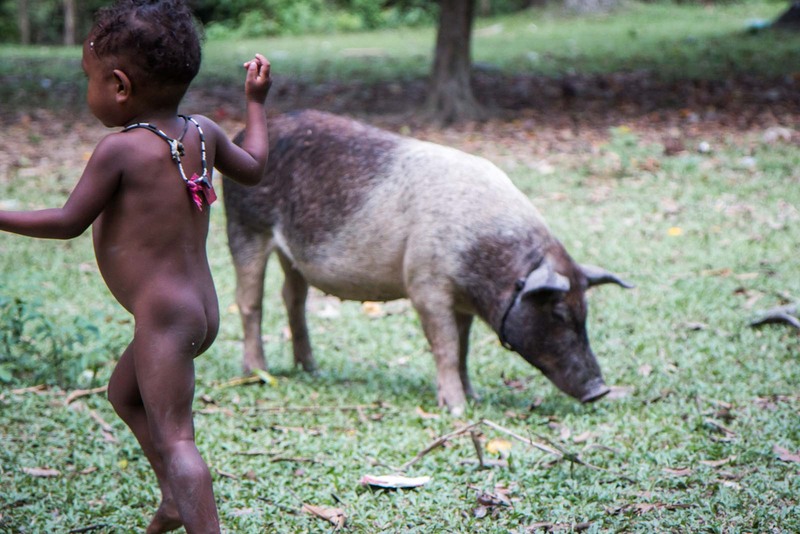 Clothes seem optional, and babies and animals roll together between the huts. 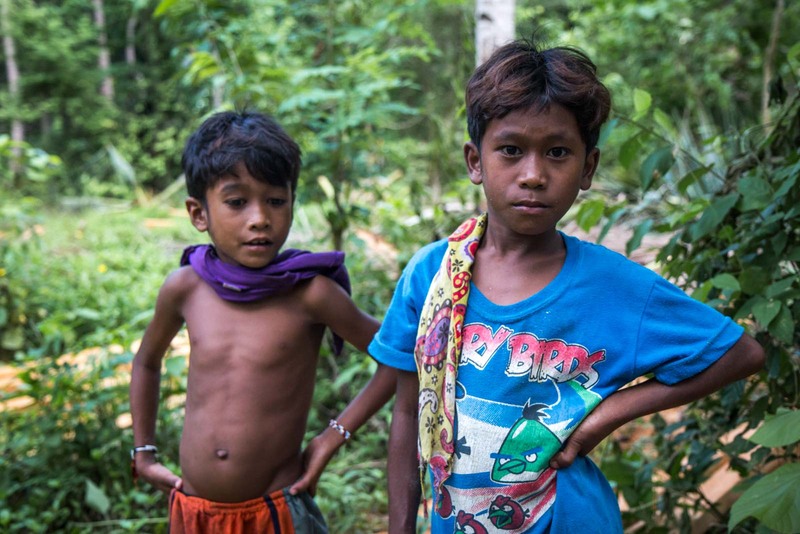 This is the Batak tribe, which researchers believe arrived in the Philippines about 50,000 years ago as the first humans to cross the land bridge from mainland Asia to the archipelago. Now there are just several hundred of them left in the country and they face several threats to their existence. 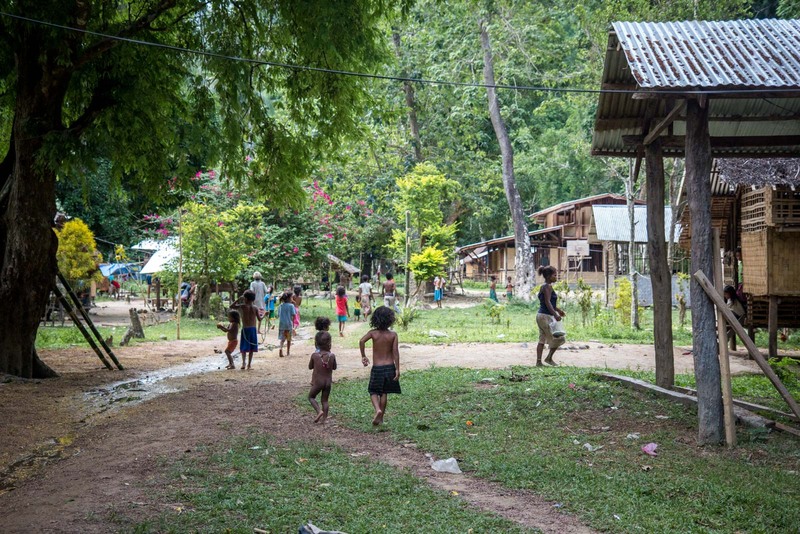 Their community is in the jungles in the northern part of the island of Palawan. I started the journey here from the island’s capital, Puerto Princesa, with a drive for about three hours. On a roadside near… well, not very much… I met Rico, a local guide who lives in the area and knows how to get to the Batak community. We set out on foot through the thick green tangles covering the landscape. A river winding around the valley repeatedly broke the path we were following and we had to wade through the water barefoot to the other side. At times the river flowed quite fast and I took my time to find firm footholds. With Rico leading the way, we walked for at least an hour or maybe longer – I lost track of time as I listened to the sound of the river ebb and flow, the birds calling out from their hidden spots in the trees, and the occasional rustle of leaves in the wind. Not that there was much wind – evidence of this, my sweaty shirt. 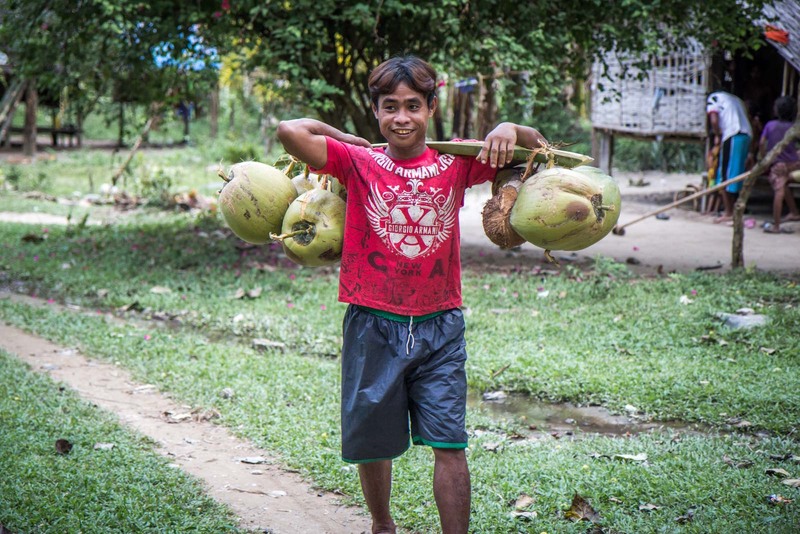 Arriving safely at the Batak community, some members of the tribe give me a welcoming smile. Others just ignore me and go about their business. I ask if I can take some photos and am told that’s fine. There’s a clear language barrier here but I try to use my facial expressions to communicate. The kids seem to love it – the adults are less impressed. I meet the leader of the tribe, a man who I guess might be in his 50s but looks frail and weary beyond those years. He is noticeably older than most of the people here in the community. There are plenty of young children, mothers in their 20s and 30s, and fit men of a working age but not many people beyond that. Perhaps they are just resting inside the huts… I should ask but don’t. Along the drive, I stopped to buy some food supplies for the tribe. Following the suggestions I had been given earlier, it’s a large cardboard box full of things like coffee, sugar, condensed milk, rice, noodles and biscuits. It cost me about US$20 and this is essentially my ‘entrance fee’ to come and visit the community. Tourist numbers are very low here and that’s fine by everybody. 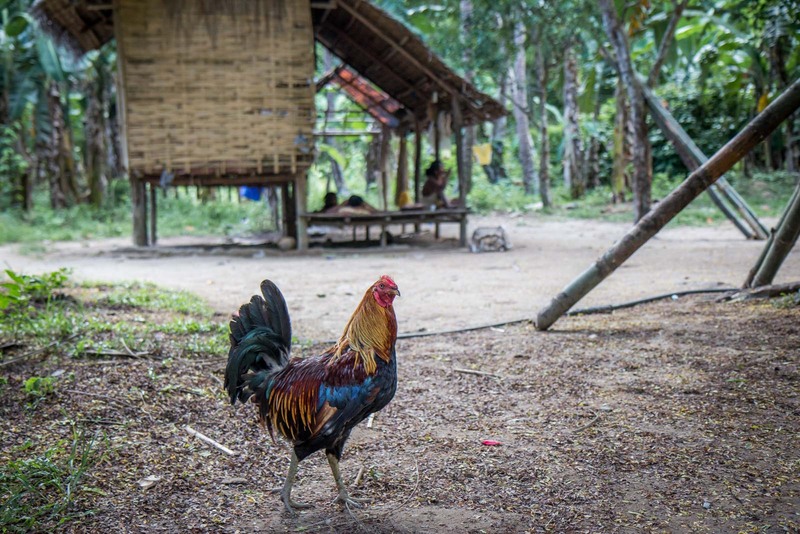 A village like this is not designed to be a tourist attraction but the residents do appreciate that there is an interest in their lives and awareness of their existence helps some of their causes. So, rather than charging the visitors who do come a ‘fee’, we are requested to give a donation of food to thank the Batak people for their time and hospitality. Once I have given over the present, I have a brief chat to the tribe leader through an interpreter. He tells me that that are about 48 families living here in the community. They try to be as sustainable as possible but they need money to interact in the modern world that surrounds them. They earn this primarily through harvesting something called ‘copal’. I had never heard of this before but it is essentially a resin that grows in trees that’s extracted by making incisions with a machete in the trunk and then collecting the liquid that leaks out. It’s then sold to companies that use it to make things like varnish. 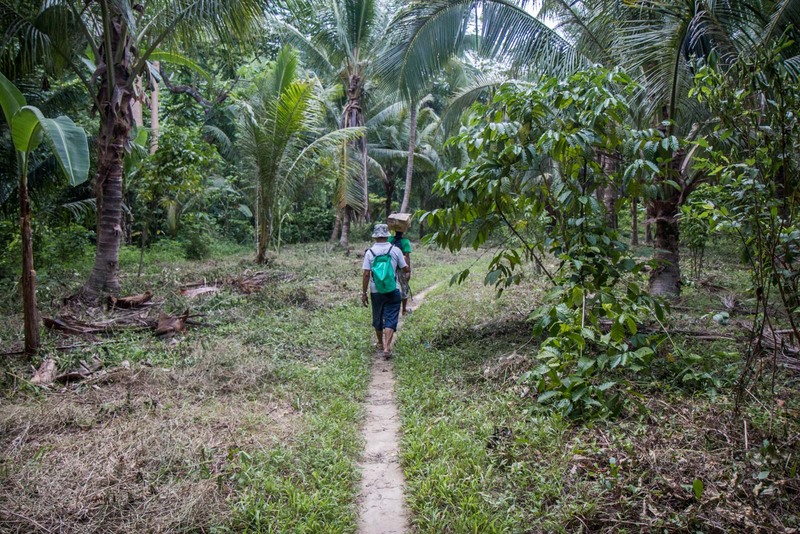 The only problem is that the right trees are nowhere near the community and the men need to walk for at least half a day (or longer) through the jungle to find them. So what they’ll do is go away for several days, harvest as much of the resin as they can, and then carry sacks of it back to the village. Meanwhile, the women tend to do one of two things. They’ll either go with the men and look after them while they’re working – cooking and cleaning, for instance. Or they’ll stay at home and care for the children – sometimes just their own and sometimes the children of a few families if other mothers have gone with the men. Around the village, things are quite leisurely. Naked children run around playing games with each other – simple sticks or balls are enough to amuse them. Bare chested women keep an eye on them and nurse babies. A few women are doing some washing, a man is fixing a hut, some younger men seem to be fashioning spears for hunting. Without the pressures that many of us are used to in our daily lives, things are slower here. That’s not to say the Batak people don’t have their own pressures. Their existence in this way of life is under threat from the increasing march of progress and intervention. 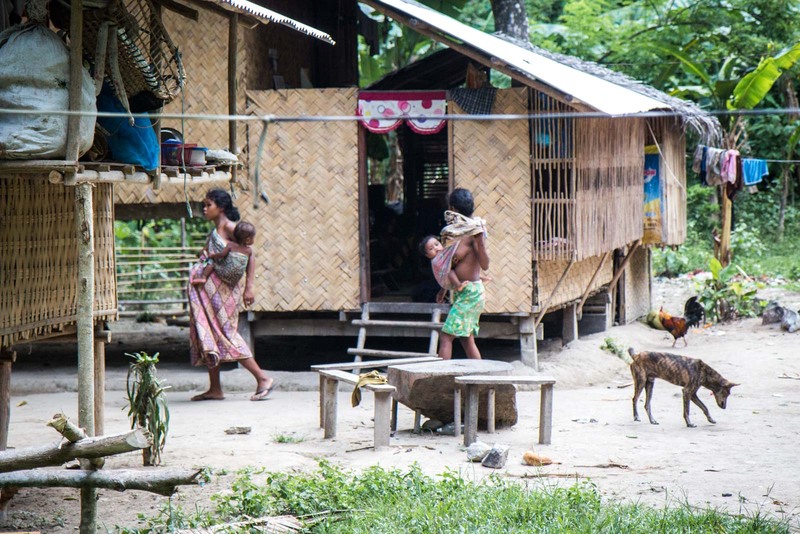 Their ancestral lands are being declared ‘protected areas’, which limits their ability to hunt, logging and land seizure create even more problems, and health problems like malaria, measles and tuberculosis are more prevalent than in mainstream society. 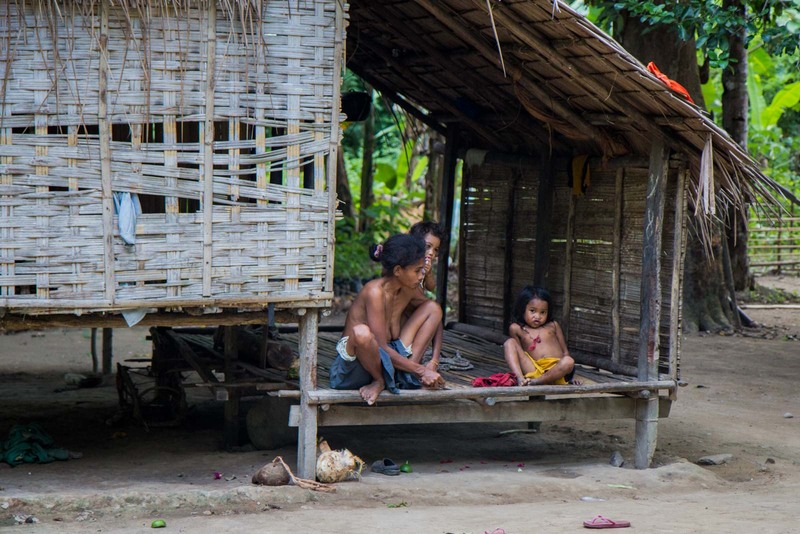 The Batak community is the most endangered of the three major ethnic tribes in Palawan. Although they are surviving at the moment, it’s not clear what the future holds. Much of their traditional culture has already been irretrievably lost and more constantly disappears and they integrate further with the rest of the population. There is a lot of talk about the natural beauty of the Philippines and islands like Palawan. Let’s hope the cultural beauty is appreciated just as much in the years to come. Could I have a contact details of the tour guide or how to get hold of anyone like him? I will be visiting this coming January. Gorgeous photos. Experiencing their traditional way of life must have been really special, I would love to do this. 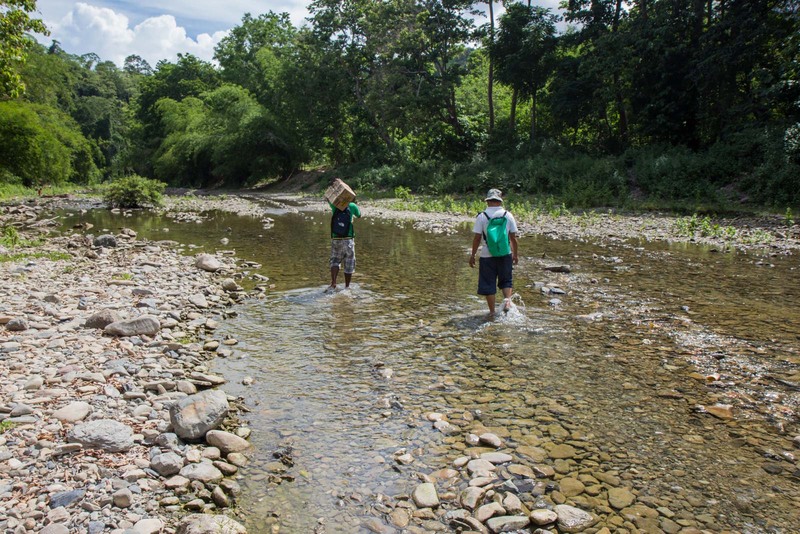 Very good site and information… and a noble endeavour of documenting our brothers in the hinterlands of Palawan. Thank you. Clearly your intentions are the best. But I suspect you took a bad chance of bringing these innocent people disease. Probably it is better to leave them alone. Hello! Good day! I love this blog! can I get the contact information of the guide? 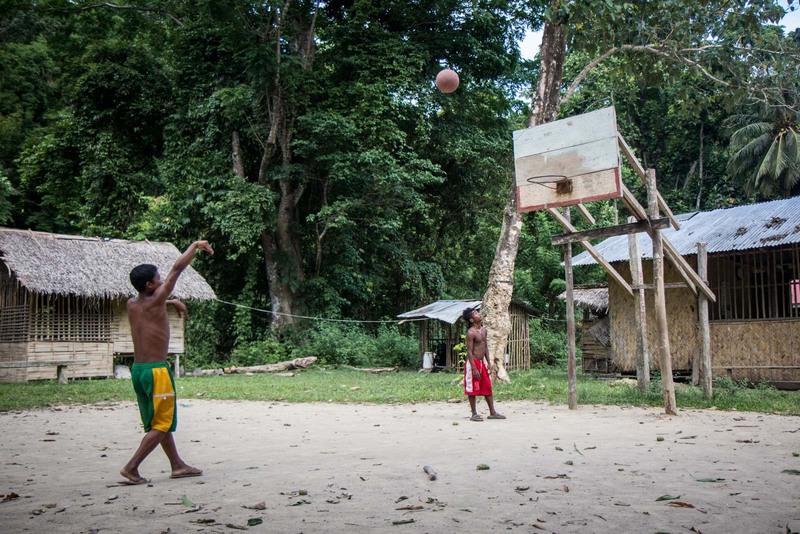 Our team is planning to visit indigenous tribes and I think this is the right one! pls! Thank you! If you go, ask about the possibility of floating back down the Maoyon River on a bamboo raft. Three Batak men built the raft for us and then acted as captain and crew on the 8 hour float trip through good forest with white water, hornbills and monkeys. It was well worth it. You can arrange it with a few days notice through Hundred Caves community based tourism, where you can also arrange an English speaking guide. Bring your own life vest. Why you call them BATAK ethnic ? Are they have relation or history with BATAKNESE in North Sumatera-Indonesia ? @Sahat the first people that stepped into this land were Negritos, Indons and Malays. Alibata would have been our national language instead of Tagalog. Which is similar to Sanskrit or Thai. hi Time Travel Turtle. Did you notice if they have toilets. Great post! Gorgeous photos. Experiencing their traditional way of life must have been really special, I would love to do this. Clearly your intentions are the best. Thanks for sharing these amazing photos!